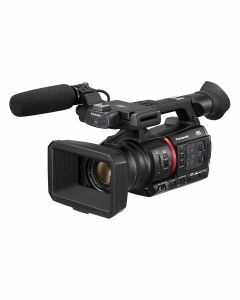 Panasonic's new AG-CX350 is the world's first camcorder with built in HDI | HX. This lightweight handheld camera features 4K/UHD resolution, 10-bit, HDR-compatible image quality and a wide range of recording formats for ultimate creativity. AG-CX350 is also equipped with RTMP/RTSP function for live streaming. The industry’s first camcorder equipped with NDI | HX mode, it allows video transmission and camera control via IP connection, without using an external converter. The camera can be built in to larger systems working alongside Panasonic PTZ camera systems equipped with NDI | HX and the Live Production Center AV-HLC100.